German-born artist Henry Hengstler was a resident of San Diego, California by 1920. He studied at the San Diego Fine Arts Gallery and later at the Otis Art Institute in Los Angeles. 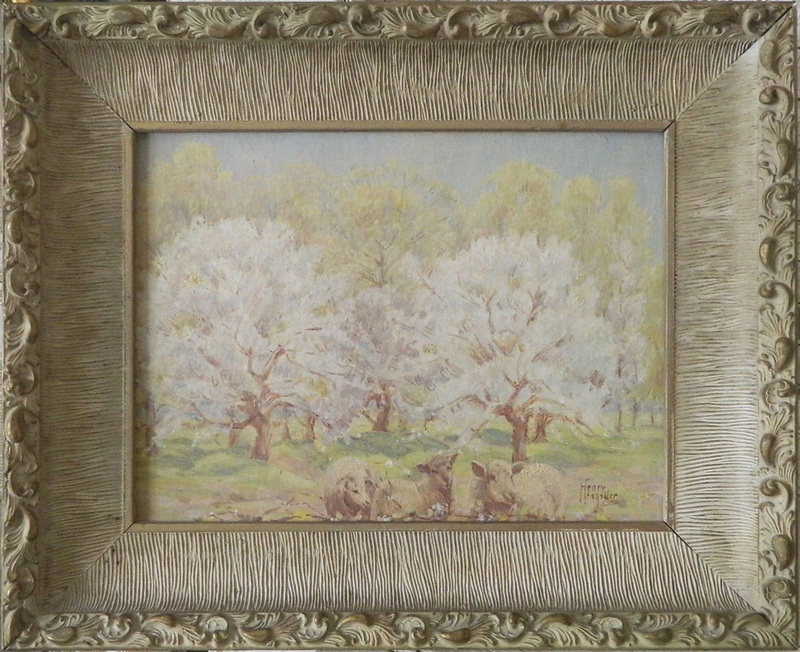 He died at Los Angeles in October 1950.This painting of three sheep in an orchard was probably painted before 1937. The inscription “To Leila from Mr Hengstler for Graduation June 1937” provides a clue to both the painting’s date and its provenance. Hengstler’s wife Catherine had a niece named Leila who was born about 1919. By agincourtiowa in Landscapes & Livestock, Uncategorized on Friday/09/January/2015 .